The Department for Business, Energy and Industrial Strategy (BEIS) said the Core Innovation Hub will support the development and use of technologies such as digital design, advanced manufacturing, robotics, drones and augmented and virtual reality. It said that while many of these techniques are used and proven in other sectors, such as automotive manufacturing, the hub will be a first for construction and that ‘increased use of technology will enable the sector to design and build faster, cheaper and more sustainably’. Last week ministers called for more use of offsite assembly and digital technology after publishing a £600bn pipeline of infrastructure spending. Officials said smart sensors and digital systems will be incorporated into buildings and infrastructure, so they can manage and maintain themselves, while the data they gather will enable help make towns and cities ‘better places to live, work and travel in’. 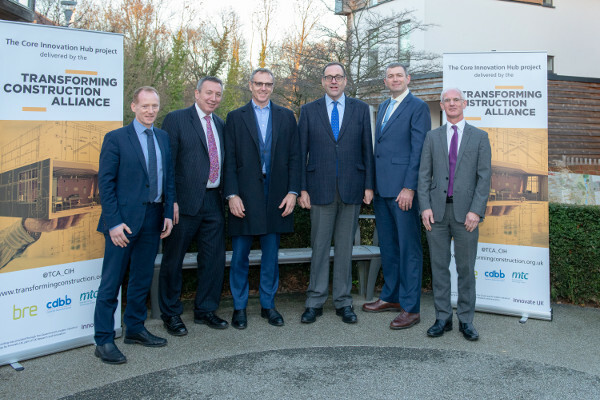 The Government has awarded £72m to the Transforming Construction Alliance (TCA) to deliver the hub following a nationwide competition as part of the Industrial Strategy Challenge Fund. BEIS described the hub as ‘a partnership between three centres of established excellence’: Manufacturing Technology Centre (MTC); the Building Research Establishment and Cambridge University’s Centre for Digital Built Britain. Appropriately, the hub itself will be both physical and virtual. The partners which will undertake work in their existing and new facilities, but will also collaborate among themselves and be the hub of virtual networks for other partners.